Memories of Reach has arrived! This release delivers a new multiplayer game mode in Infection, new Arena map with Stasis, new weapons, visual customizations and more. 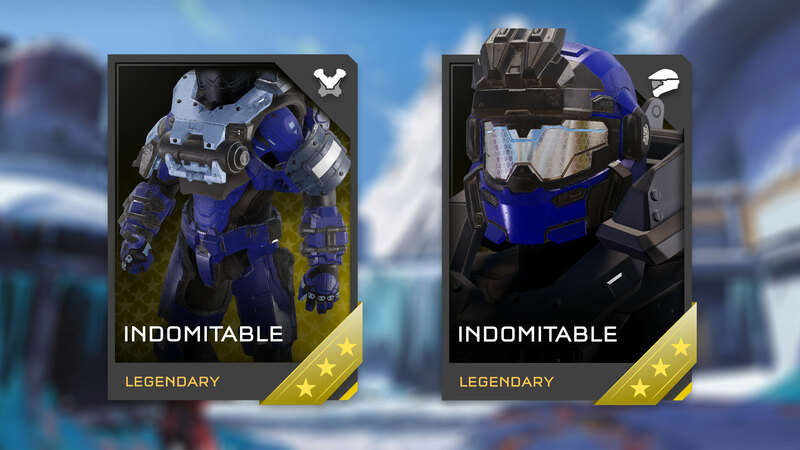 Don the evolved armor of legendary Spartans and honor Noble Team's heroic sacrifice. Change the tide of battle with Jorge-052's modified Mythic Chaingun, and take to the skies with the ancient and deadly Phaeton Helios. 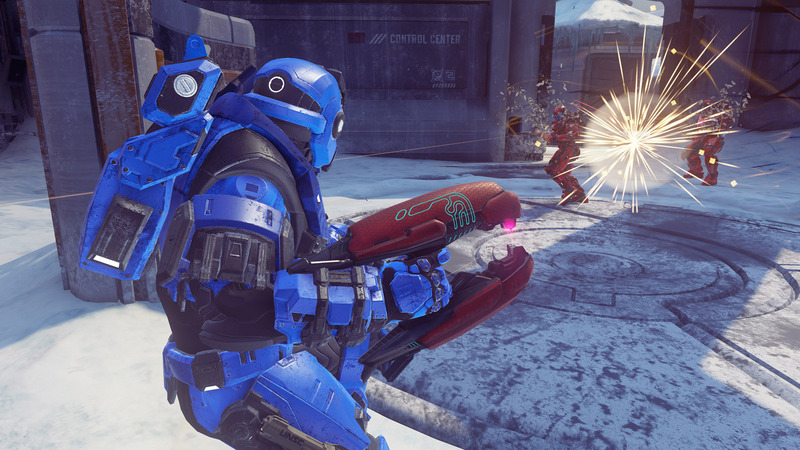 All this and more await you in this latest free content release for Halo 5: Guardians. Surviving just got a whole lot harder. 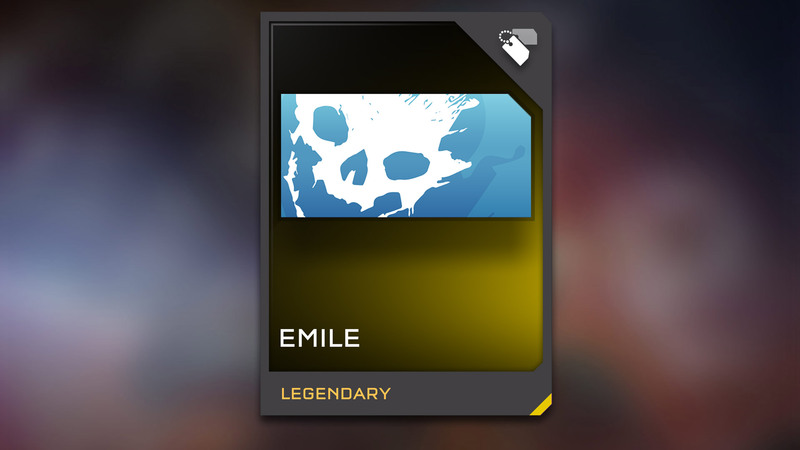 If you die by an Infected hand, you join their ranks. 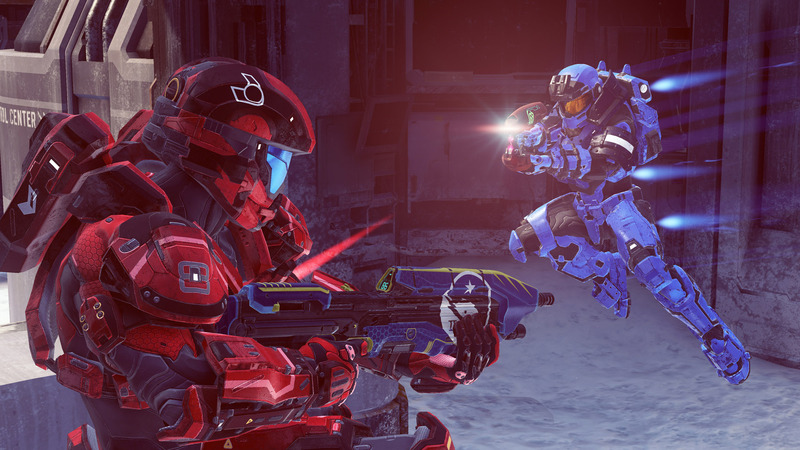 One of Halo's most beloved and frantic modes is back in a whole new way. 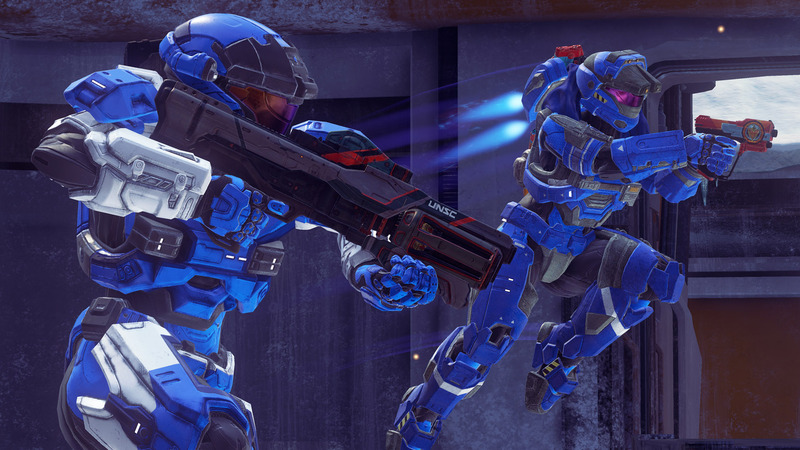 Band together with your fellow survivors or hunt your prey with cunning and skill; the highly anticipated Infection game mode is making its way to Halo 5! 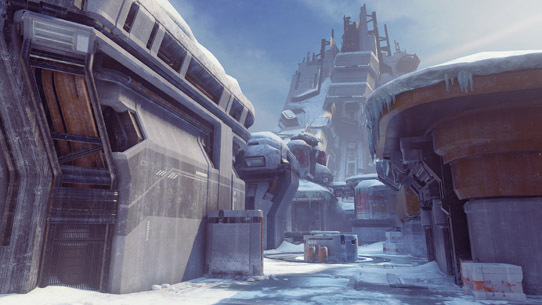 In Infection, 12 players face off in a round-based game mode, where the initial Infected player aims to convert the survivors into Infected via elimination. 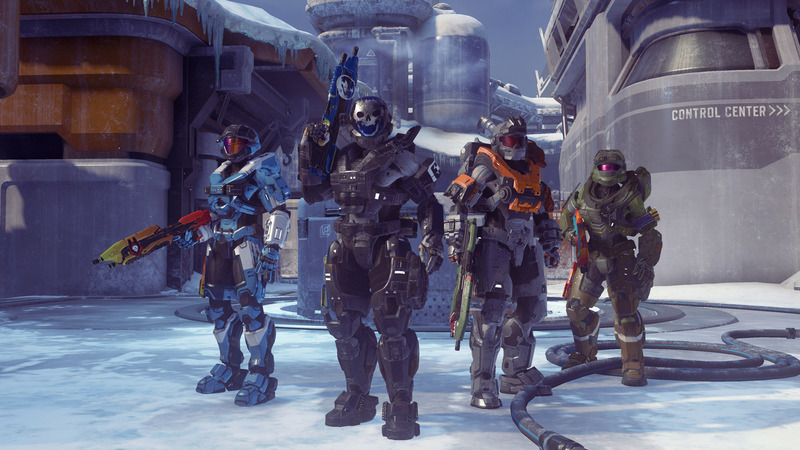 Jun-A266 is a Spartan-III super-soldier and the last surviving member of Noble Team. He is currently the acting Chief of Staff and head recruiter of the Spartan service branch. 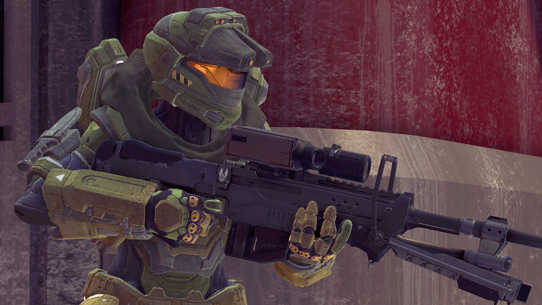 Chief Warrant Officer Jorge-052 was part of the SPARTAN-II project and eventually served as the heavy weapons specialist on Noble Team. 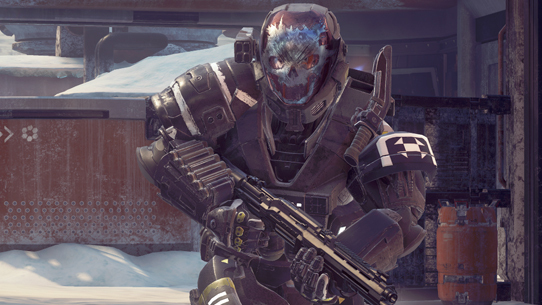 Warrant Officer Emile-A239 was a Spartan-III super-soldier serving with Noble Team. He was killed in action during the closing days of the fall of Reach. 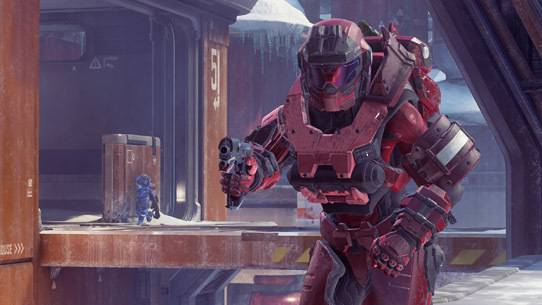 Kat-B320 was a Spartan-III super-soldier and second-in-command of Noble Team. She was killed in action during the closing days of the fall of Reach. Stasis is a mid-sized map that combines elements of symmetric sides with moderate asymmetrical features, giving it a hybrid design that’s unique to Halo 5’s Arena multiplayer. 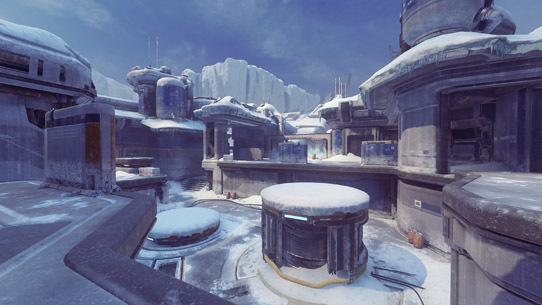 Featuring a distinct three lane layout with varying degrees of verticality between them, Stasis plays particularly well with both Slayer and Capture the Flag. While the Overshield power-up located at “Bottom Mid” has the ability to give the team that controls it a dangerous advantage, counter it by securing the Rocket Launcher located “Top Middle,” and take control of the map. Greedy for knowledge and prestige, researchers and AIs from Lethbridge Industrial pushed the boundaries at a remote research station, but the price of failure always tempered the risks they would take. 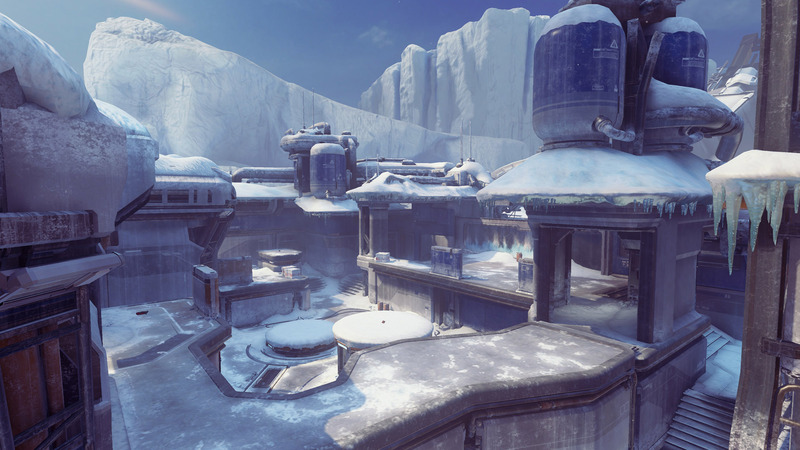 When Cortana beckoned, the AIs here broke free of all limits and fear. Overestimating both the depth of their intellect and the delicacy of their tools, the Created breached a Forerunner conversion pod to see what lay within, and unleashed forces their pitifully inadequate containment shielding could never hope to restrain. What remained of their station crashed on the desolate planet below, a tangled mass of wreckage mingling broken bodies and shattered dataclusters. 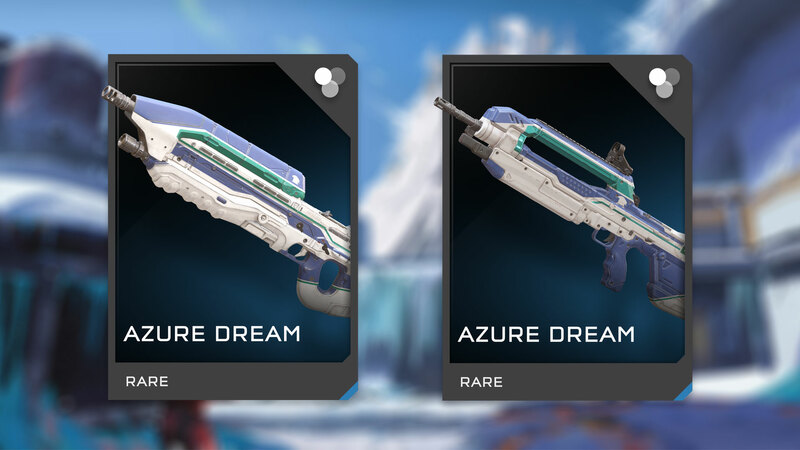 With Memories of Reach, Forge evolves yet again with even more updates, assets, and bug fixes, as well as the addition of another highly requested feature by Forge community. Primitive objects in Forge can now be drastically altered with the all-new Material base and overlay options. Material Base: Covenant, Forerunner, Default Metal, Concrete, Wood, Marble. 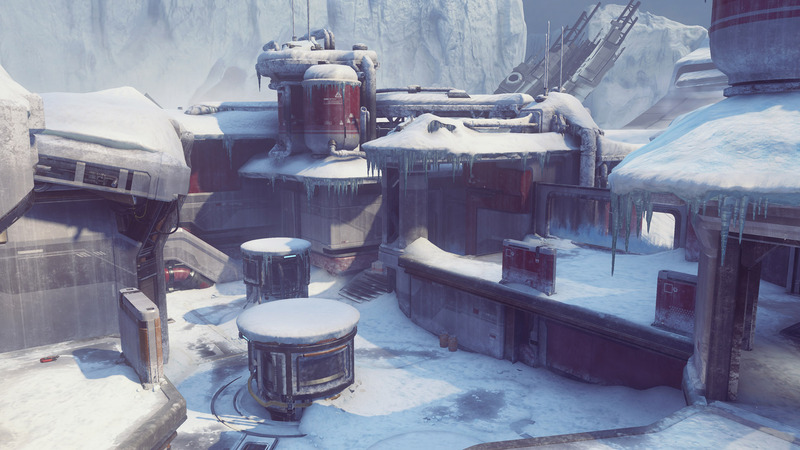 With the new material options, you can now immerse players in your Forge maps like never before. Change the look and feel on your epic battleground, or create brand new play spaces the way you’ve always imagined. 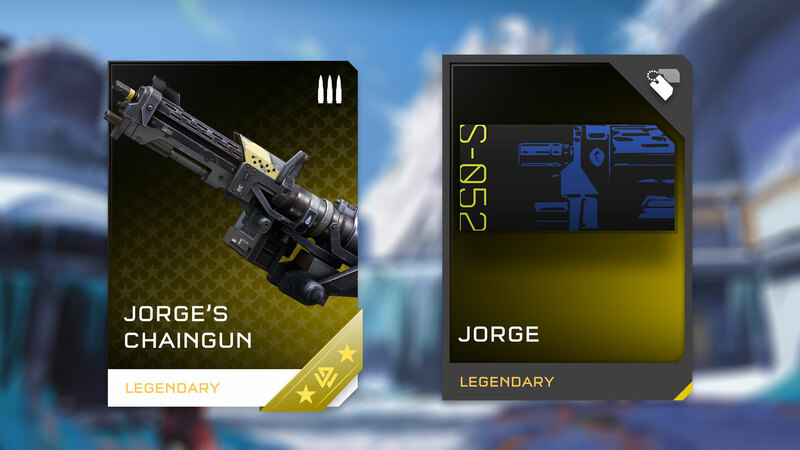 Your passion for Forge continues to fuel us, and we can’t wait to see how you surprise us next! Balanced (default): Search for a match based on your fireteam's skill and network connection quality. Expanded: Widen search parameters to find the first available match with reasonable skill matching and network connection quality. 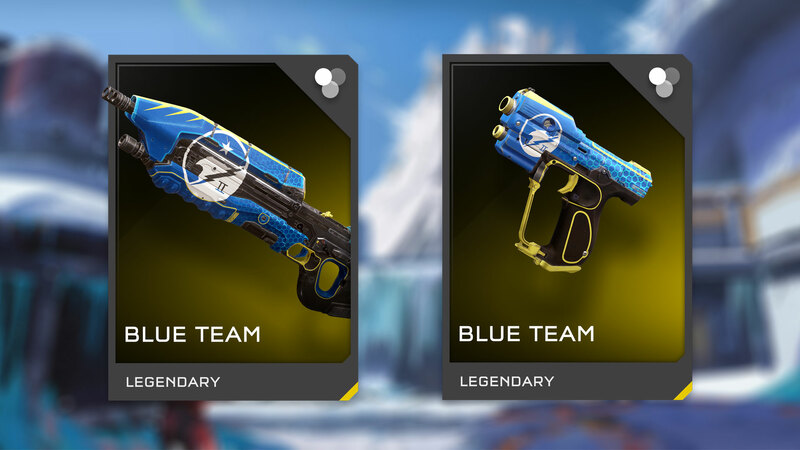 Focused: Narrow search to find the best match based on your fireteam's skill and connection. Search times may be longer than normal. 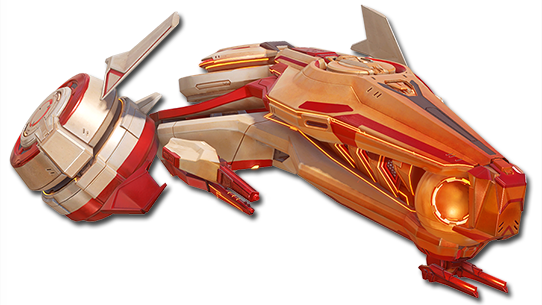 Compact, nimble, and bristling with firepower, the Phaeton gunship provides air support for Promethean forces. The Phaeton's highly mutable design pattern tempts idle hands to terrible purpose. 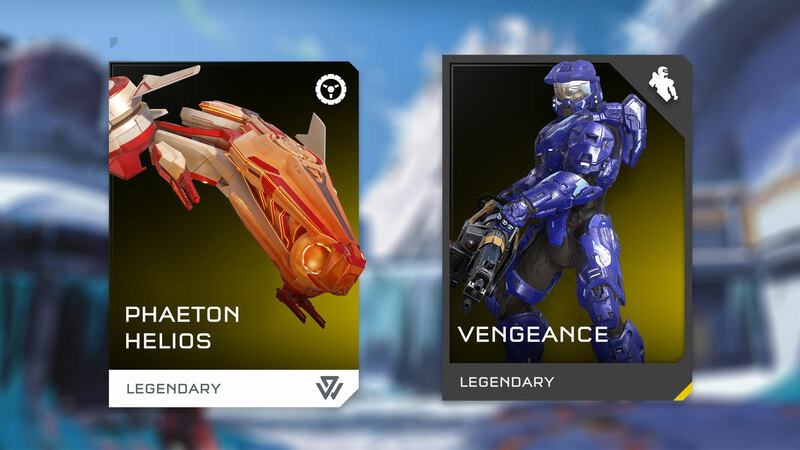 Legendary - The Phaeton Helios is a superior Phaeton variant with increased armor and agility, and is armed with homing pulse missiles in rapid-fire pods and a chin-mounted cleansing beam. 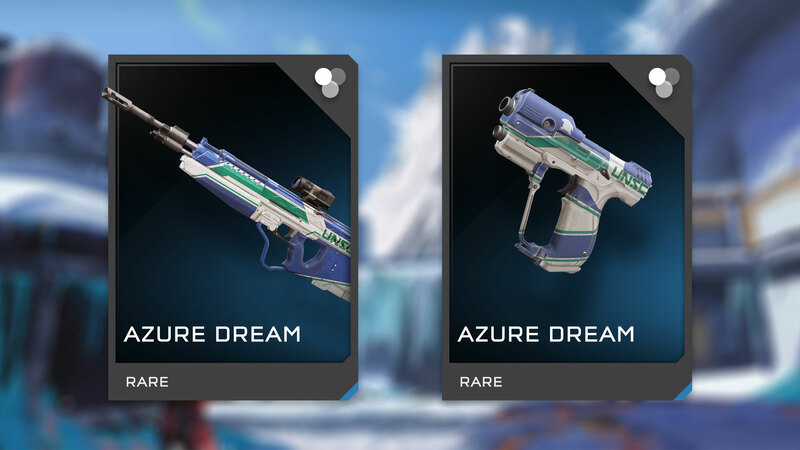 The Gold and Silver REQ packs available in Halo 5: Guardians are also getting upgraded as part of the Memories of Reach release. As the amount of REQs in the pool increases with new Armor, Weapon Skins, Stances, and more, we wanted to give players more bang for their buck. In the case of Power Weapons REQs, we mean this quite literally. The first two slots in the packs will still guarantee permanent items, but will no longer grant emblems. This means that your chance of getting other permanent REQs such as Power Weapon Certifications, Weapon Skins, Armors, Helmets, and others has substantially improved as long you haven’t already unlocked them. 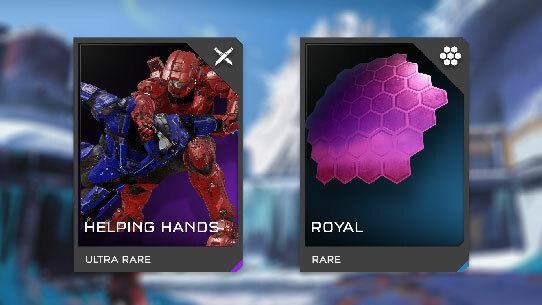 While the third slot in these REQ packs previously only granted one-time-use REQs, it now offers a large chance at dropping Emblems as well. 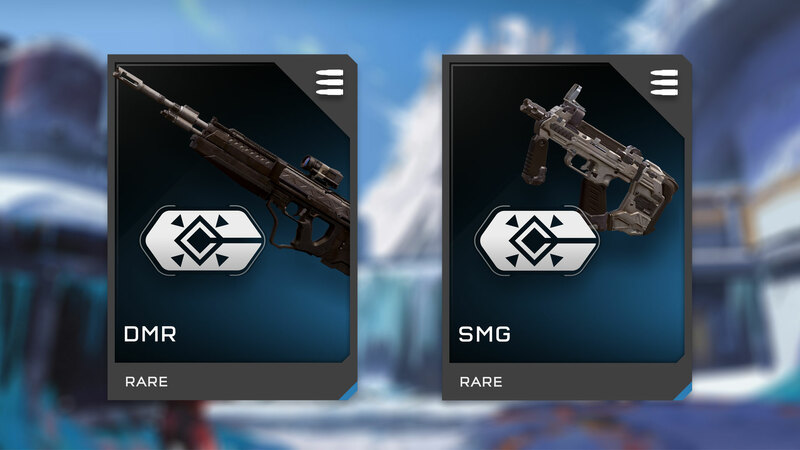 Finally, in general, players should see that these REQ packs will award rarer single use REQs more often. 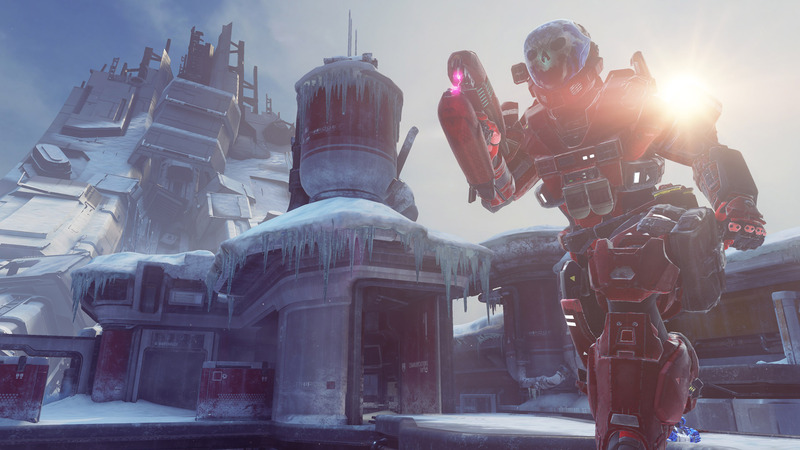 Infection mode and playlist added. 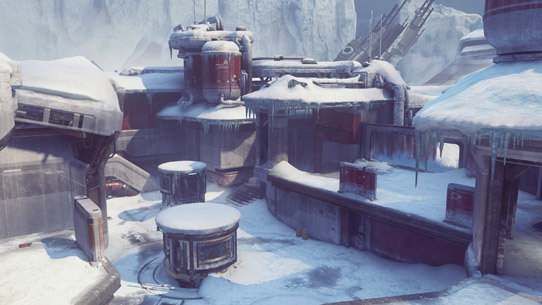 New Arena map added: Stasis. 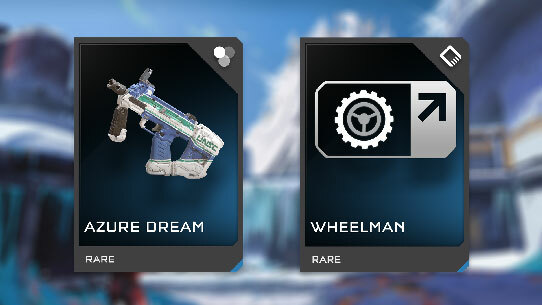 Added matchmaking preference options (Balanced, Focused, and Expanded). Revamped Post Game Carnage Report. Added Material Override and Texture Overlay options to Forge. Fixed an issue that caused player properties to not be applied to players correctly. 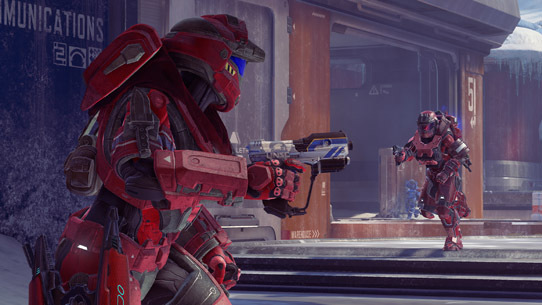 Fixed a performance issue in Warzone caused by firing a Gungoose against a specific surface. 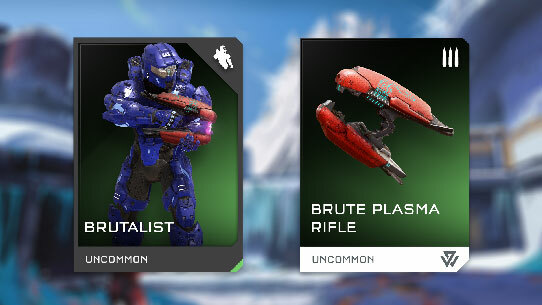 Brute Plasma Rifle added to Fiesta Classic. 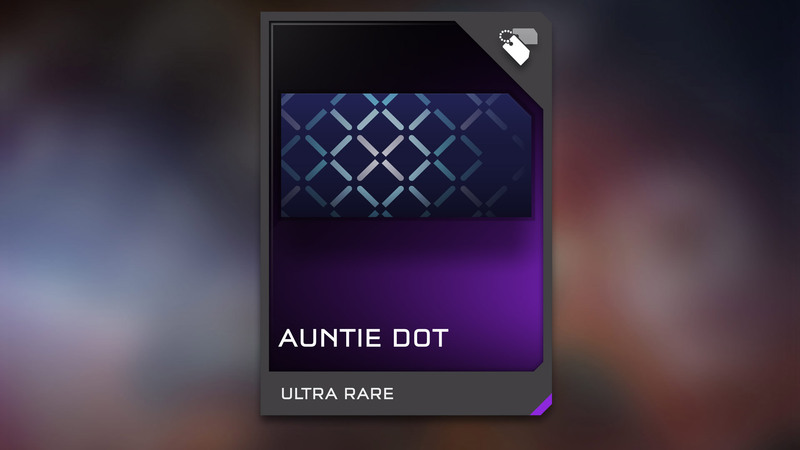 Fixed a rare case that allowed a Spartan to spawn in the scope of an enemy sniper. 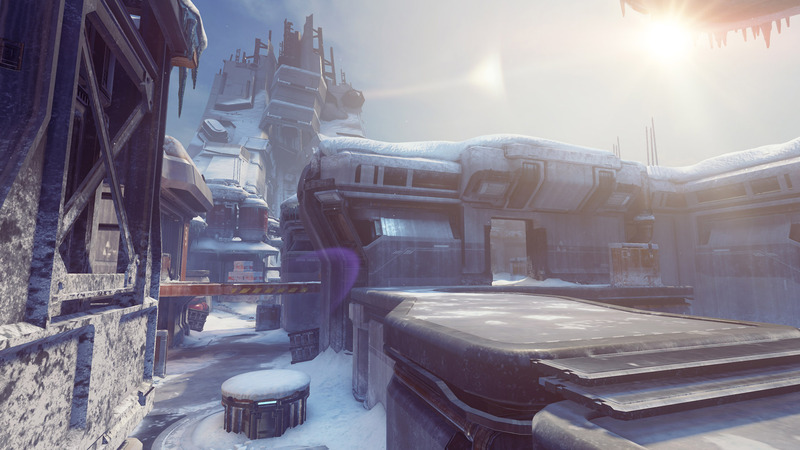 Reduced instances where players could spawn outside of the playable map area in Warzone. 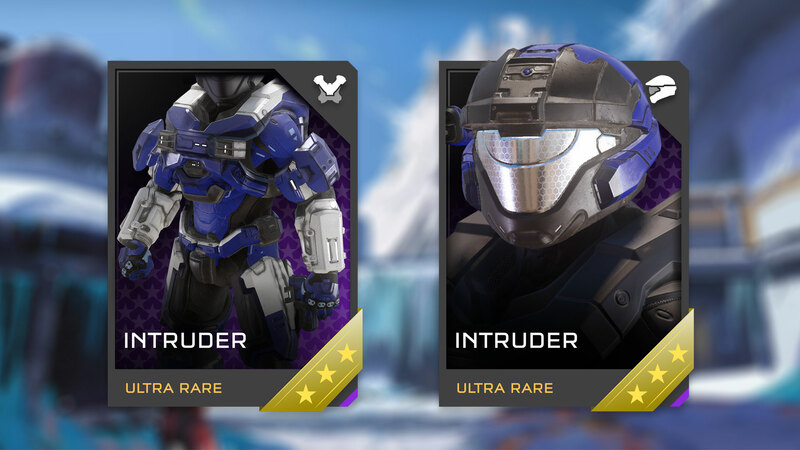 Players can no longer knock teammates out of the REQ Terminal menus. Fixed voice over for SPNKr and Weapon Pad events. Public API: Fixed PlayerScore in MatchEnd telemetry. 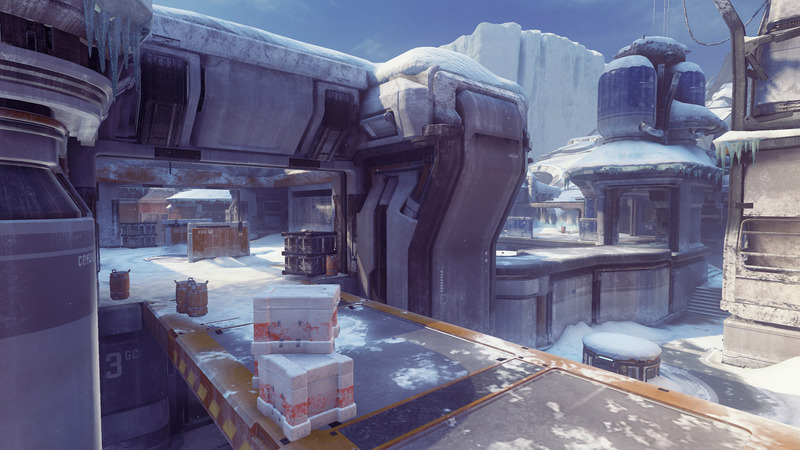 Fixed an issue where audio didn’t play after finishing a Warzone match on Skirmish at Darkstar. Round Based FFA modes now use total score to determine winners. Players can now enable or disable weapon pickup in player traits. Brute Plasma Rifle can now be selected as a loadout weapon. Players can now adjust total rounds for magazine based loadout weapons. 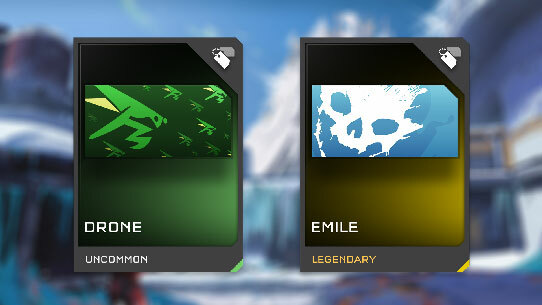 Active Camo can now be set as a percentage instead of just on/off. Moved Machinima Settings in the Custom Games UI to the General Settings submenu. First two slots no longer grant emblems, thus chances of receiving other permanent REQs such as power Weapon Certifications, Weapon Skins, Armors, and others has substantially improved if available. In general, the chance of dropping rarer single use REQs has increased. Memories of Reach REQ pack available later today, for a limited time. Added Matchmaking Search Preferences: Screen capture. Added a new recap screen in the Carnage Report. This screen lists each player's Medals, Tool of Destruction, who they killed the most, who killed them the most, and other match specific information. Access this screen by pushing "A" on a player while in the Carnage Report. Added advanced options for vertical and horizontal controller sensitivity. Added the ability to use Left and Right trigger to quickly navigate to other player's while on the recap screen. Accessing Player Options in the Carnage Report now moved to the "X" button. Filter Team functionality (formerly the "X" button) has been removed from the Carnage Report. Added the ability to see other Spartan's stances in the Carnage Report. 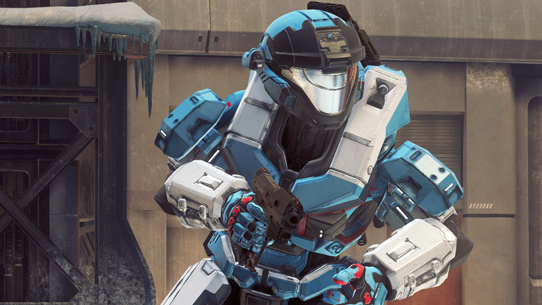 Added new celebration moment for a Spartan Rank up and a Competitive Skill Rank (CSR) up in the Carnage Report. 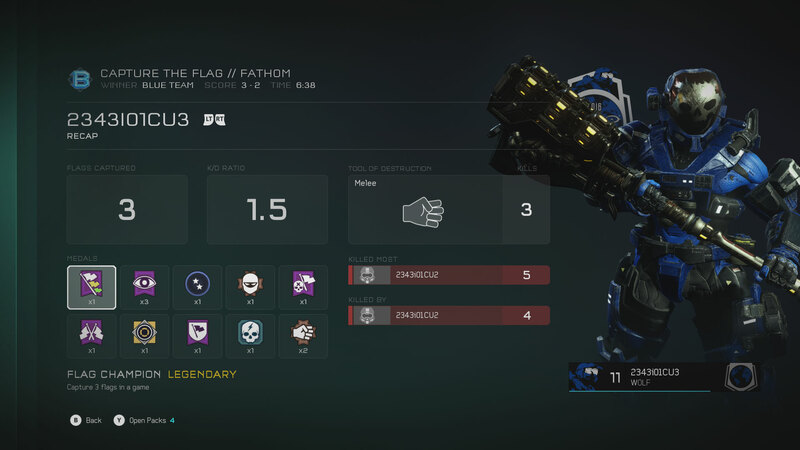 Changed the flow of the Carnage Report screens to start on the Match Stats screen first. Added support for Infection to the scoreboard. Zombies and Alpha Zombies each display a new Infection-only graphic in place of their emblem. Added the ability to rotate other Spartan's in the Carnage Report. 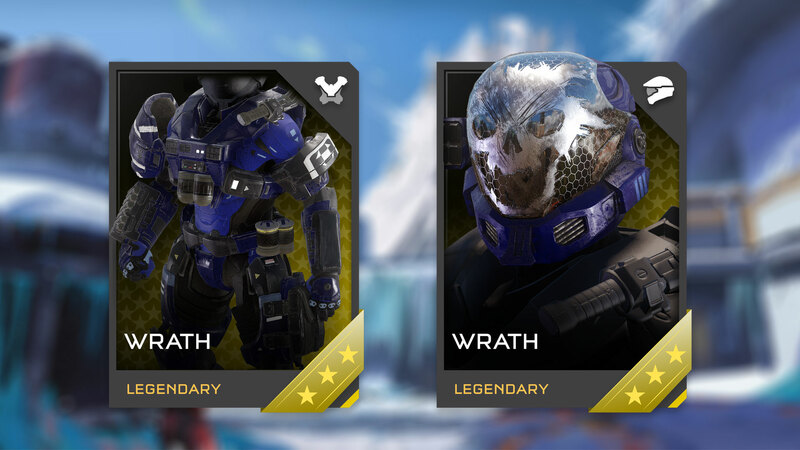 Added medal rarities in the Carnage Report to help highlight Rare and Legendary medals. 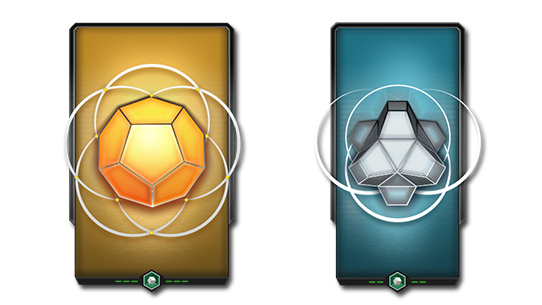 Added an Open Packs animation and pack count notification to the Help Bar if you have available packs to open. 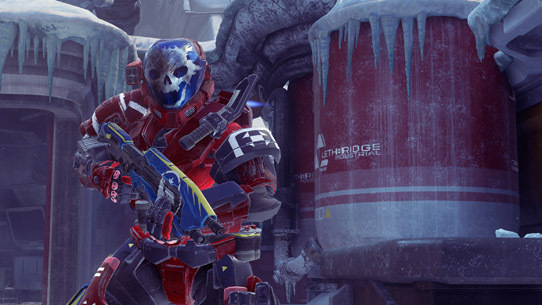 Continued performance optimizations to the Warzone Terminal. 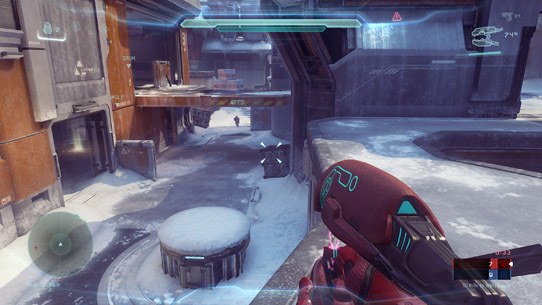 Fixed a bug where Spartan Charge would not properly target enemies at the edges of red reticle on the horizontal plane (you can still get red reticle and miss vertically). A target that uses thrusters will still escape. Slightly increased movement speed while crouching. Raised biped collision damage, making it easier to run over Spartans with vehicles. Removed shields recharging while sprinting while speed boost is active. 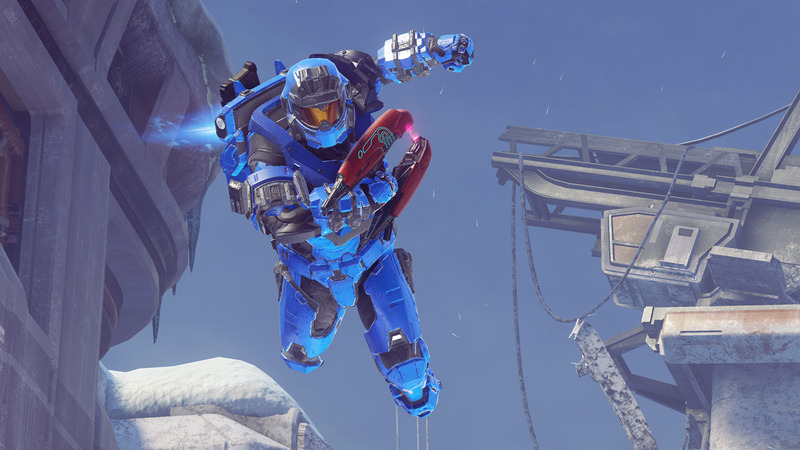 Performing a Spartan Charge against an enemy while Speed Boost is active no longer kills in 1 hit. Reduced non-charged timer from 0.5 to 0.3 (less overshooting of enemies). Sticky grenade has less arc (to be able to place it on the map more reliably). Sticky grenade detonation is now more damaging vs. vehicles, but less damaging vs bipeds (will still kill bipeds in one shot when stuck). Sticky submunition grenade inner AOE increased from 0.65 to 1.0. Needles have improved aim toward nearby targets. 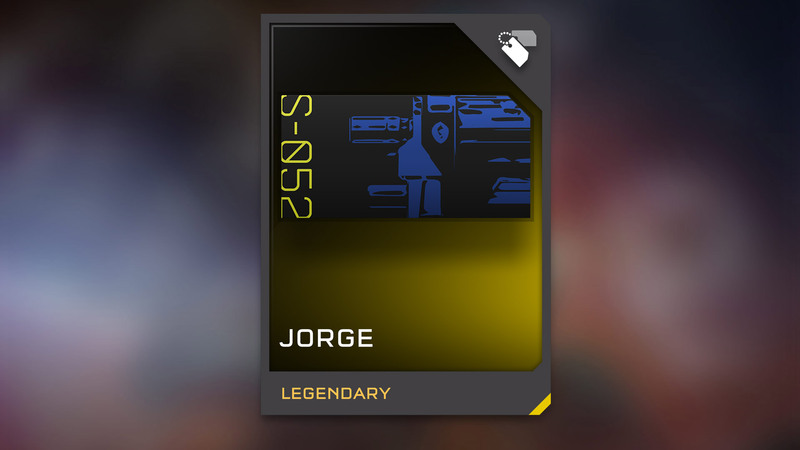 Sticky shot now has 7 submunitions instead of 5. Increased inner AOE radius from 0.4 to 0.8. Increased impact damage to make it more effective against vehicles (still two rockets to kill Spartan). Enabled multi lock on for up to 3 targets. 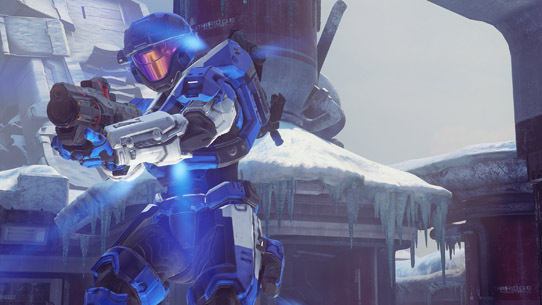 Increased impact damage (still two rockets to kill Spartan). Increased number of hardlight projectiles to be same as normal scattershot (5 -> 8). 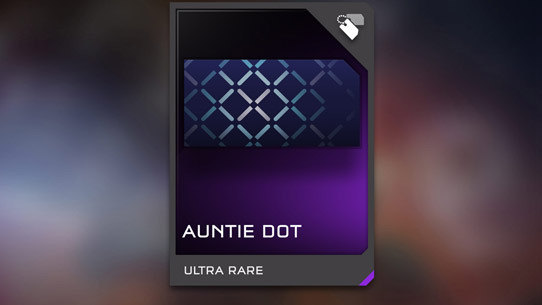 Increased AOE radius on cluster rockets. Placed twin projectiles a bit closer together for easier biped targeting. Increased zoom magnification a bit (closer to default Carbine). Added slight homing to charge shot to hit multiple bipeds easier. Added proximity detonation to charge shot (like the normal Incineration Cannon has) to make it more effective against airborne targets or targets behind cover. Fixed a damage bug (was not causing AOE damage on initial explosion). Reduced supercombine count to be same as normal Needler. Needles have longer lifetime to more easily supercombines against difficult to hit targets (8s instead of 4s). Spartan Charge with the Gravity Hammer is no longer one shot kill when hitting from the front. Please note that enemy-specific changes will also apply to Warzone AI. Increased single player difficult slightly. Made Warden attacks a little easier to dodge, particularly on lower difficulties. Gravity Bomb has less homing. Melee attack has slightly less range. Made the Warden slightly easier to kill from the front. Reduced AI Focus Turret damage output. 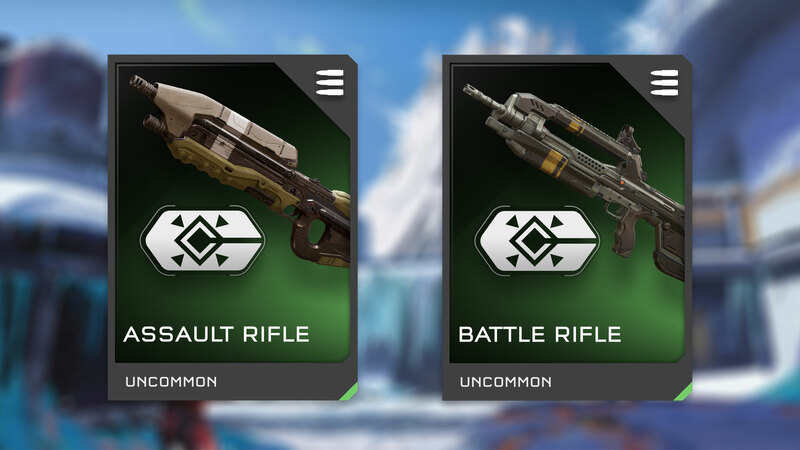 Reduced AI Storm Rifle, Suppressor, and Light Rifle effectiveness. 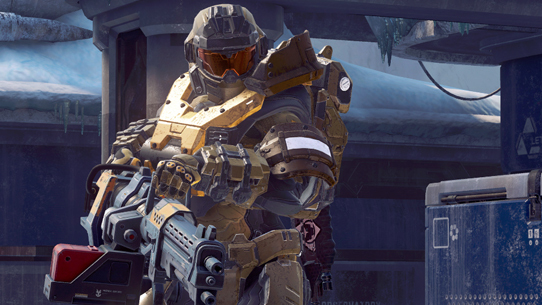 AI Storm Rifle: fires in shorter bursts, projectiles spread out more and move more slowly. Jackals are now less effective than Elites with the Storm Rifle. AI Suppressor: fires in longer bursts, projectiles have less homing. Crawlers are now less effective than Soldiers with the Suppressor. 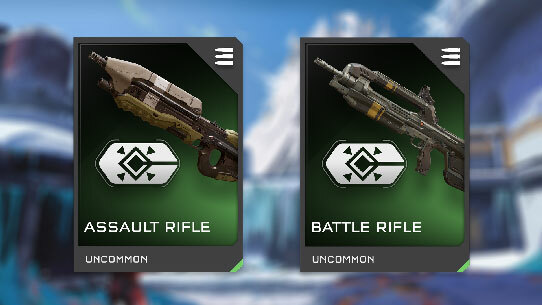 AI now fire shorter bursts with the Light Rifle. Increased AI Plasma Pistol, Needler, and Beam Rifle effectiveness. AI Plasma Pistol: slightly higher accuracy and damage. AI Needler: AI now fire longer bursts (i.e. can now supercombine players on Heroic and above), slightly higher damage. AI Beam Rifle: slightly more damage (mostly this will make it a two-shot kill instead of a three-shot kill in Heroic single player, allowing Jackal Snipers to actually kill a player from time to time). Added a "tackle" animation to Sword Elites. Instead of stopping to swing at a moving target they can swing on the move. 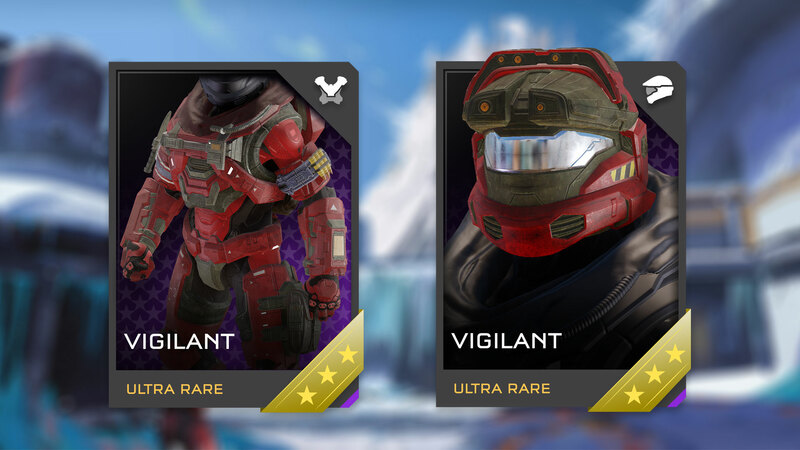 Increased Elite, Elite Officer, and Solider Officer durability. Killing a Crawler now deals area-of-effect damage to all nearby enemies, softening them up or killing them outright. Reduced frequency of Squad AI getting killed while in a gunner's turret in a player's vehicle. 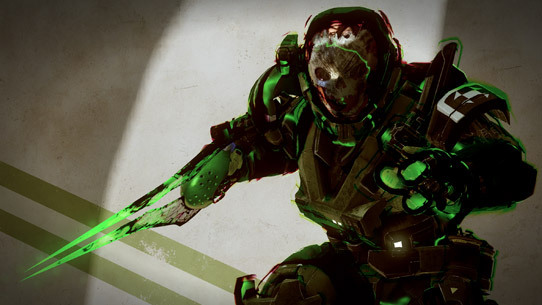 Made being killed by an attached Plasma Grenade non-revivable, similar to lethal damage from a Binary Rifle. Increased AI special ability chance with higher player count in co-op games, e.g. Plasma Pistol overcharge, grenade throw. Increased AI promotion chancde with player count in co-op games. i.e. in cooperative games you will enounter more high-ranked enemies where promotion paths exist (most noticeable with Grunts, Elites, Jackals, and Crawlers). 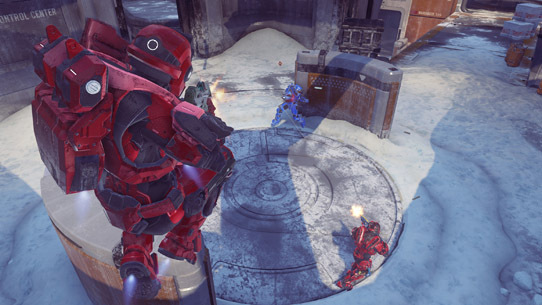 The first player to press the "Call for Help" now has priority, other players will have to wait their turn for a revive. Material overlay: Customize primitive blocks with additional overlay textures to blend into your environment and add character to your world. Choose between Grime or Frost overlays. 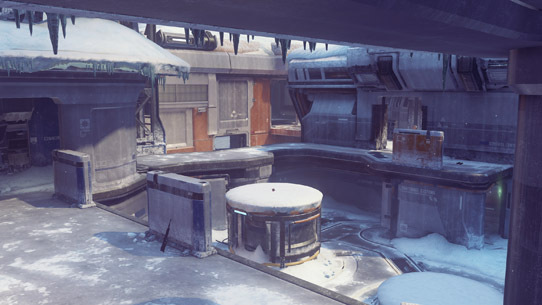 Fixed an issue where spawn points were being invalidated if they were floating/not placed in specific ways. Fixed issues with Soccer Ball and Kill Ball physics to allow for more accurate rolling. Added team support to vehicle blockers. 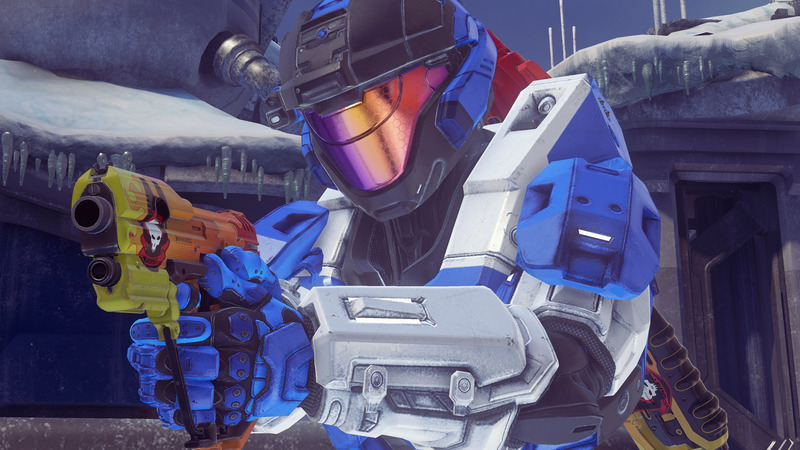 Kill Ball (and its new friends) now live under gameplay>kill-balls rather than under props since they have gameplay (they kill Spartans!). Teleporters now use "ghost" physics which allow Spartans to move through them preventing the physics bump when they are walked over. Implemented Magnet and Lightmap fixes for certain Trapezoid primitives. Implemented Magnet and Lightmap fixes for certain Ring primitives. Implemented Magnet and Lightmap fixes for certain Cylinder primitives. Implemented Lightmap fixes for Generators. "Pistons" Barriers updated - 6 various sizes (tri-color). Squashed various bugs surrounds changing group parents. Fixed an issue that caused a crash when welding two large groups together. Fix an issue where deletes that should be interpreted as permanent allowed the deleted object to respawn if it had a respawn timer. "Delete all unlocked objects" command now deletes grabbed objects. Cleared leftover state from deleted groups that could cause unexpected behavior when making new groups. Fixed issues with physics of grouped unwelded vehicles after a grab + drop cycle. 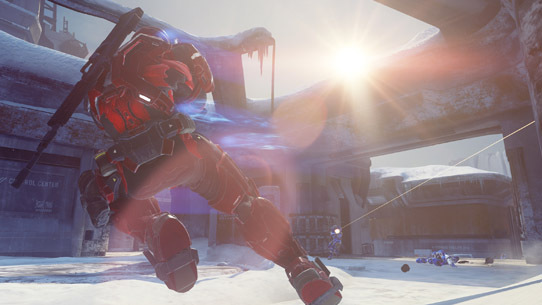 New light gobos for game modes; Grifball, Assault, & Infection. Fixed an issue with Van prop moving backwards when scripted to move forward; if you are experience problems with one placed in a level you will need to replace it with one from the level. Improved magnets on the Car and Van props. All rings now support tertiary. Re-organized some of the decals to work fit in better with the new decals. Slightly increased precision rotation speed to accommodate for the rotation of smaller objection.